It never hurts to walk in someone else’s shoes. While that’s the main theme for Lora, the heroine of this delightful story, it’s also the theme for the reader. Lora is one of the literacy teachers mandated by Fidel Castro toward the end of the Cuban revolution. Paterson is in no way suggesting that Castro’s regime was wonderful and successful in all aspects. She is suggesting, however, that wonderful people are to be found everywhere and that wonderful things can happen when you work hard. 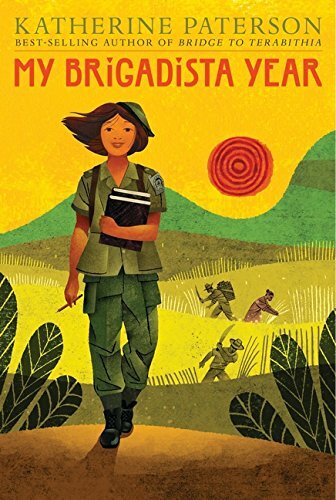 Thirteen-year-old Lora is a middle class girl from Havana who attends a good school through a gift from her grandmother. She is real and relatable. The reader can’t help but cheer her on. One of the first programs started by Castro was a concerted effort to combat illiteracy. Thousands of children – age seven and up – received brief training in 1961 and deployed into the mountains. In one year, the reported literacy rate in Cuba rose from sixty to ninety-six percent. Lora lives with a young couple, working their farm alongside them. She learns that hard work comes in many forms. The father just wants to be able to write his name. A neighbor wants to correspond with Fidel. Insurgents want the program to fail, making life dangerous. This heartwarming tale gives a new perspective for those dedicated to rebuilding Cuba. It should remind the reader to look for the good and for the reasons people act.